1. Today is the last Monday in November 2016. Next week on Monday we will be five days into December with the end of 2016 knocking at the door. 2. I wonder where Cuba will find itself in the post-Fidel Castro era? 3. According to a new study, my dog is a lot smarter than I give her credit for. And I just wish she would remember to stick around when I am working around the house. 4. There are no constraints on the human mind, no walls around the human spirit, no barriers to our progress except those we ourselves erect. -- Ronald Reagan, 1985. 5. 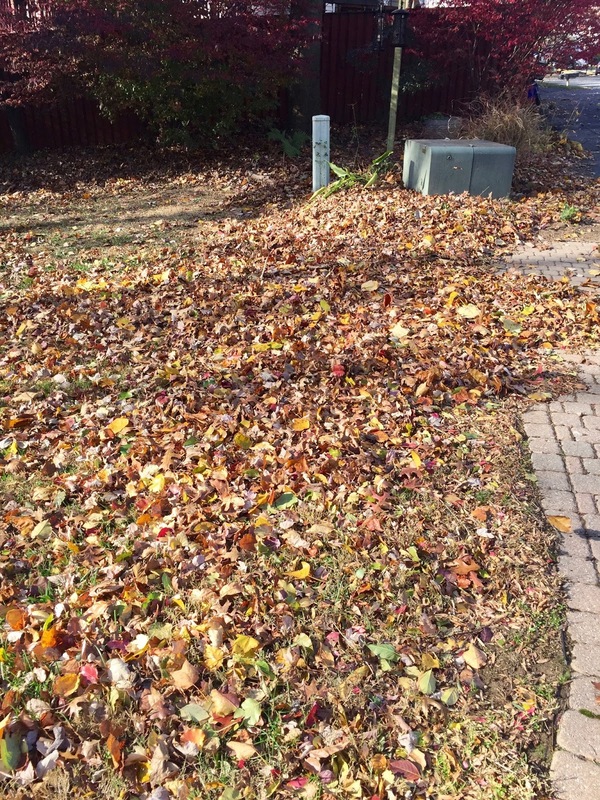 The wind storms of the past week filled my yard up with leaves. 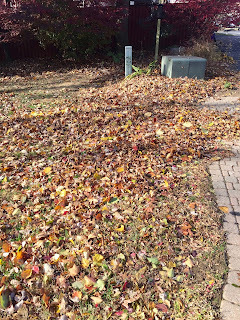 They are gone now, but it was the third time that I had removed the leaves from the yard. 6. And writing of leaves, I think they look a lot better on the trees than in my yard. 7. My washing machine is not working, again. Patrick and I determined the cause and the machine is about to receive its last repair before it will be replaced. 8. Is it possible to survive Cyber-Monday? I made it through small Business Saturday and Black Friday. 9. I wonder what new electronics I desire? 10. Chris and I are already beginning to plan our summer vacation. We just don't know to where.